With resurfacing progressing on the historic Herne Hill velodrome all might seem well for the future of track riding in South London but, under the surface, fears abound over the precise future of cycling at the velodrome. With the Herne Hill Velodrome Trust – the body formed to save the track – expected to take over its running once resurfacing is completed and silent on the subject how the track will be organized and run in the future, concerns are rife that its renowned community-based approach will be lost. Local cyclists and riders from Vélo Club Londres (VCL), the club who have run the track for the past six and a half years, are worried that the Trust may eschew existing popular sessions and racing events in favour of more lucrative, corporate sessions. The Trust is in the process of recruiting new trustees and, with a business report commissioned from sports and leisure consultancy Sports Solutions yet to be completed, they are unable to comment on what the future may hold. In the period of being managed by VCL, the track has been run profitably, albeit with some reliance on volunteers. With a desire to set up a sustainable business-plan, the Trust are clear that things will change: “What would happen, in the current set-up, if the next generation of club riders weren’t able to take on the responsibility? The track would be in a mess. We want to make a business plan which ensures the track’s future,” Thornton said. The track’s resurfacing is due to be completed by the first week of September. Until early 2011 Herne Hill velodrome’s existence was profoundly threatened by two factors – first, its decaying surface required resurfacing for its continued use and, secondly, landowners Dulwich Estate were only leasing it on a yearly basis. Prospective funders for resurfacing required a longer lease to incentivise backing any developments. 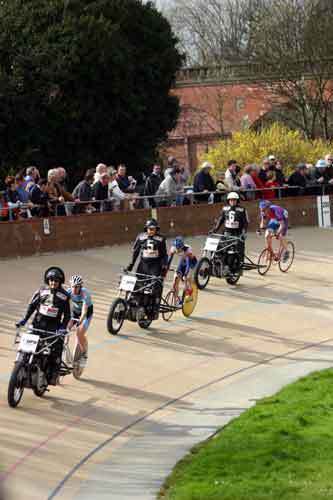 The Herne Hill Velodrome Trust was formed in February 2011 in order to save the track, and managed to do so after persuading Dulwich Estate to grant a longer lease. British Cycling took it up and provided the money for the resurfacing. British Cycling’s involvement extends to lease of the track only, and the Trust are expected to manage the track and the surrounding area, which is leased under a separate agreement.